Peru’s natural and cultural diversity is not something that you find just anywhere – this country is simply unique. 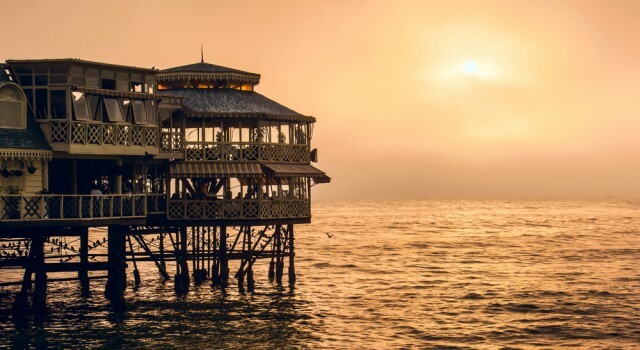 With its heritage of stunning pre-Columbian historical sites, colonial architecture, natural wonders art, folklore and cuisine, Peru has the power to transform even the most standoffish and reluctant explorer into an eager traveler. 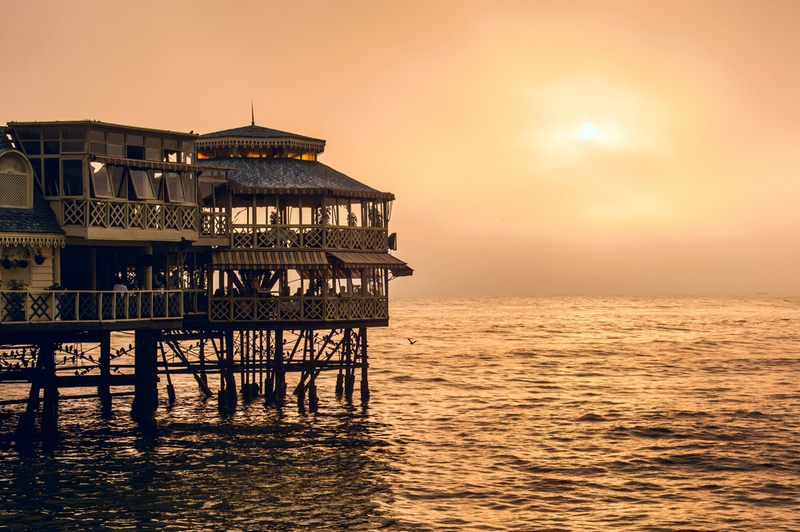 Whatever you do in Peru (and there is much to do: adventure travel, eco-tourism, sightseeing), you shouldn’t miss out on a gastro-tour of the country as well. 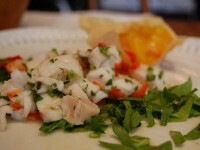 Peruvian cuisine is full of surprising flavors and aromas that will awaken the foodie in everyone. Here’s a short guide to Peruvian cuisine, a mouth-watering mix of local cooking with Japanese, Italian, Spanish and Chinese influences. Chinese-influenced Peruvian dishes are colloquially called chifa, and Lomo Saltado is one of the most popular dishes of this sort. 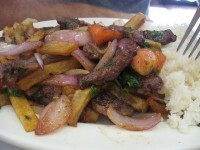 Lomo Saltado is pretty much a staple food in Peru, and it can be found in cheap joints as well as in more upscale versions in fancy restaurants. The Lomo consists of sirloin marinated in soy sauce and spices, stir fired with veggies and served with huge French fries. Papas a la Huancaina is another favorite dish among Peruvians, commonly found in many restaurants. The name literally means Huancayo-style potatoes, and although it is a simple dish is is really delicious. Papas a la Huancaina is made with slices of boiled potatoes, served on lettuce and drenched in a spicy cheese and olive sauce. 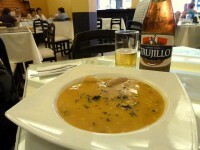 Ocopa, a traditional dish in Arequipa, is very similar to papas. 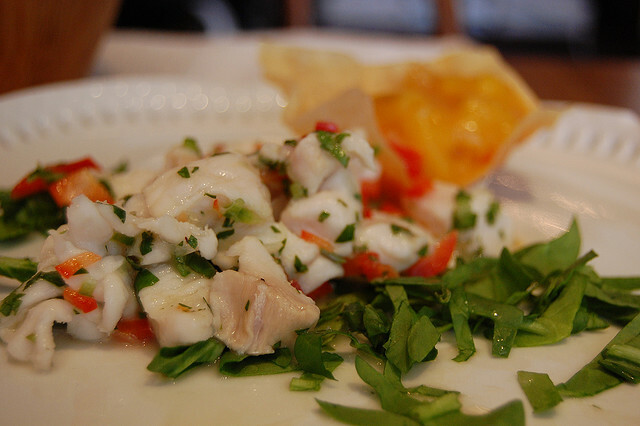 Ceviche is a very popular dish in coastal regions where there is much seafood to be found, and it comes in as many varieties as there are regions along the Peruvian coast. The dish’s main ingredient is raw fish marinated in some kind of citrus juice, and seasoned with chili and coriander, pepper and other ingredients, and served with sweet potato. A similar dish called tiradito makes use of Japanese sashimi techniques. Pollo a la brasa, or Peruvian chicken is probably the most widely consumed dish in Peru – people just can’t stop eating it, and so will you after you taste it. The dish was invented by a Swiss immigrant in the 50’s, and it is made using a special cooking method. The chicken is marinated in a mix of various Peruvian ingredients, and then baked on hot ashes. This was a fancy food in the past, but now you can find it in restaurants for every budget. Shambar is a quaint soup that successfully mixes Andean, Criollo and Spanish cuisines, and it is very popular in Trujillo. The soup is made with wheat, fava beans, chick peas, green peas, dry beans, and at least several kinds of meat (chicken, ham, beef, and pork skin, ears or tail). A bunch of spices of Peruvian and foreign origins also goes into the mix, and gives this dish a unique flavor.